If you aren’t familiar with what firmware is, or why it matters, you can read more here. Does This Work for the PowerMic II? This firmware update specifically applies to the PowerMic III. Do not attempt to install it on any other microphone, including the PowerMic II. Can I Update My Firmware on a Mac? The PowerMic III is only supported on the Windows® operating system, so you will not be able to use it or update its firmware on a Mac® computer. What Does This Update Fix? Some users found that the PowerMic III was still listening while muted. After waking a computer up from sleep, some users found that the buttons would not work. The record button did not turn on the Dragon® microphone, in some instances. The PowerMic needs to stay plugged in for the duration of this procedure. If you have a cable with a short in it, or have experienced any intermittent connection issues with the microphone, do not proceed. If your PowerMic disconnects from the computer while the firmware is updating, it could ruin the microphone. Go to our resources page and click on the heading for “Nuance PowerMic” on the left. 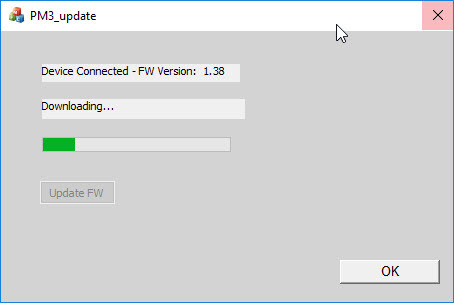 Find the file named “PowerMic III FW Update v1.41” and download it to your computer. We Install PowerMic Firmware Updates! Click the button to have one of our expert technicians install firmware v1.41 on your microphone. Plug in the PowerMic III (if it is not already plugged in). 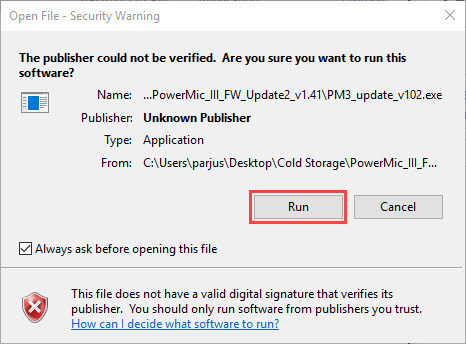 Unzip the folder named “PowerMic_III_FW_Update2_v1.41.zip.” If you need help with unzipping the file, follow these instructions. If you get a pop-up window stating that the “publisher could not be verified,” click [Run]. 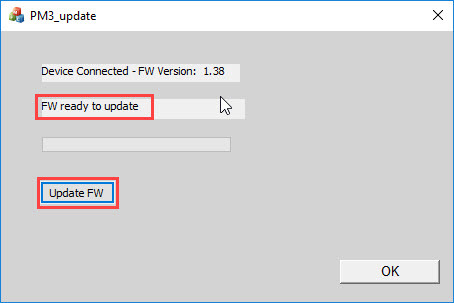 You should now see a “PM3_update” window with this status message: “FW ready to update.” Click the [Update FW] button. The firmware will now install. You should see a message saying “downloading,” as well as a green bar progressing to the right. 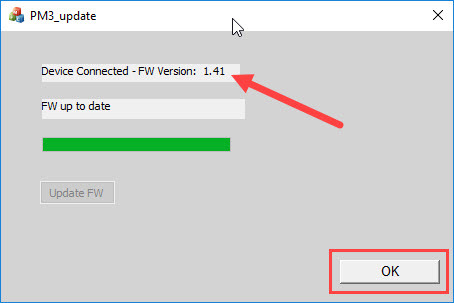 When the firmware is finished installing, the green bar will be full, and the status message will display: “FW up to date.”You should also see “1.41” as the new firmware version. Click [OK]. You’re all done and ready to use Dragon again! 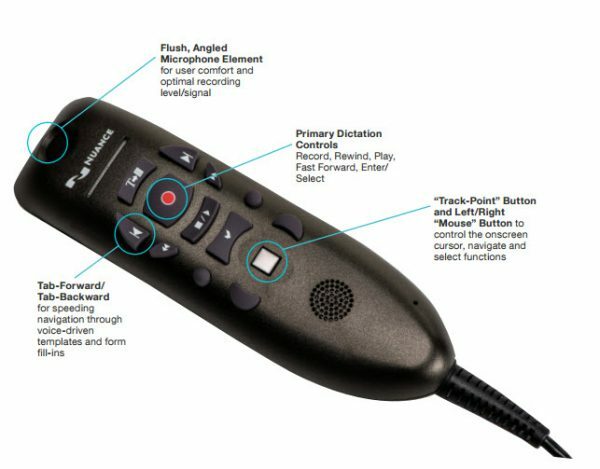 Need Help With This PowerMic Firmware Update? If you’re having trouble with this PowerMic firmware update, why not let our team of experts do it for you? Click the button to get started.